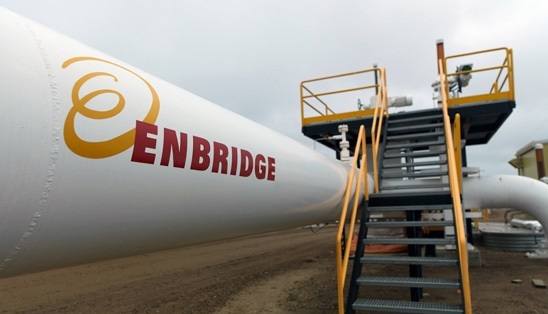 CALGARY – Pipeline operator Enbridge (TSX:ENB) is cutting five per cent of its workforce as low oil prices continue to take their toll on the energy sector. The move affects 500 people at all levels of the company in the United States and Canada. The company says it is also leaving 100 positions unfilled. Enbridge’s peer, TransCanada, has also been cutting staff, starting with its higher leadership ranks. Enbridge spokesman Graham White says those receiving layoff notices will receive support and the cuts won’t compromise safety, operational reliability or environmental protection. White says that although the steps are necessary for Enbridge to stay competitive, the company remains on strong footing and will continue to grow. “A key element of our success depends on our competitiveness and our ability to withstand difficult times like those our industry is experiencing today. Disciplined cost management has always been part of that and core to our business model,” he said.